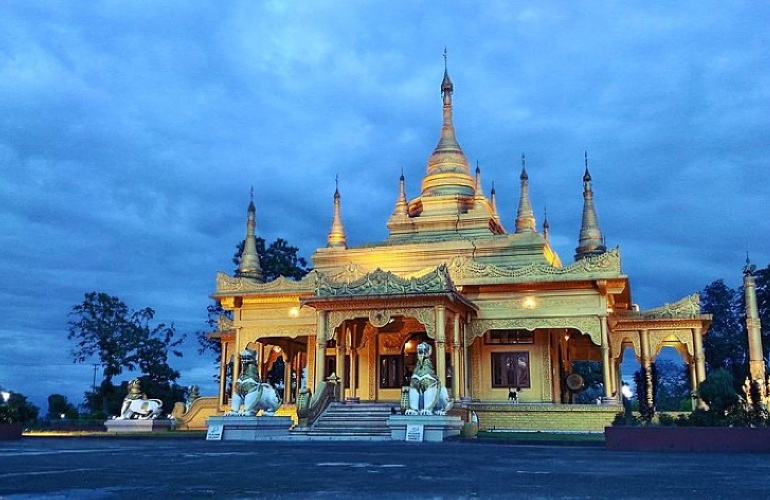 Be it the rocky mountains or dreamy river beaches and tropical forests, this magical land of India has all and that’s the reason why most of the Indian travellers are heading North-East. Well, not just the Indian travellers, the snow-covered peaks, mighty meandering Brahmaputra, wandering rhinos, surplus greenery, colourful orchids, vivacious culture and scrumptious cuisines are known for attracting travel enthusiasts from all around the globe. Undoubtedly, North-East India is not less than a paradise on earth. Let’s have a look at the magic of this incredible land. The North-Eastern part of India is known for providing a number of reasons for the people to fall in love. Each of the seven sisters has something exclusive and extraordinarily special to offer to their ‘atithis’. Yet, there is something extra special about ‘Awesome Assam’, ‘Essence of Incredible India - Arunachal Pradesh’, ‘Land of Festivals - Nagaland’ and ‘Halfway to Heaven - Meghalaya’ that aids the states to attract a large number of explorers. No wonder why Assam Tourism has decided to give her the tagline saying “Awesome Assam”. Blessed with plentiful eye-catching sights, abundant tea plantations and adorable people, Assam is an enchanting state which can make room in anyone’s heart. It is regarded as the gateway to seven sister states. If you are thinking it to be just a state with common landforms, please don’t! 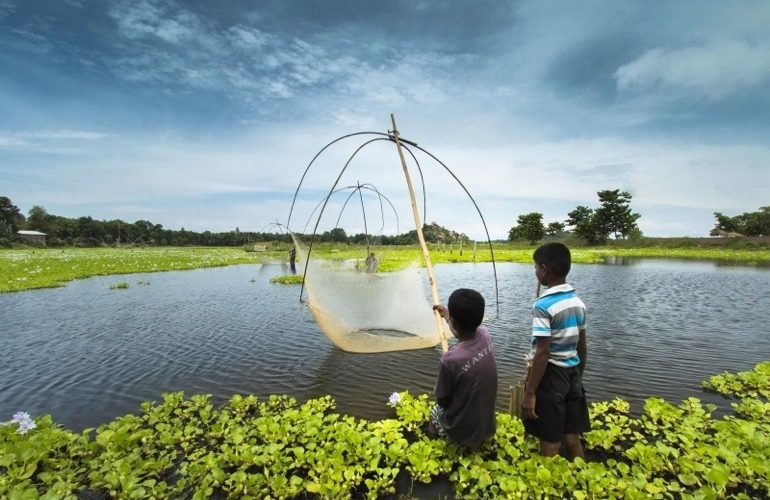 It is the home to world’s largest and India’s only riverine island that is Island Majuli in river Brahmaputra. Unique destinations that shouldn’t be missed: Majuli, Kaziranga National Park and North Cachar Hills. Sun sprinkles its first delightful ray here, mighty river Brahmaputra enters into the vicinity of India from this state, unhindered beauty lies in this land; moreover, India’s most significant wildlife sanctuaries lie here. What else do you expect from a state to become the ‘Essence of Incredible India’? If you are looking for beautiful eye pleasing views and mild adventurous activities, Arunachal Pradesh is the place where you should be! Unique destinations that shouldn’t be missed: Tawang, Ziro, Roing and sunrise at Dong. Far far away from development, where rawness of places and decency of people still exists is Nagaland. It is an untamed land and being home to sixteen major tribes along with several small indigenous tribes, the place is rich in culture and vibrant in traditions. This is the reason why they call it as the ‘Land of Festivals’. Wait! Did we mention its natural beauty? Though a raw place, the land is brimmed with a number of mesmerizing scenic beauties. ‘Halfway to Heaven’, what else name could be given to place which is full of natural wonders? Living trees root bridge which displays a wizardly aura is probably the greatest of them. Along with Cherrapunjee, India’s wettest place and a renowned hill station - Shillong, it also homes canyons, caves, snow-covered peaks. 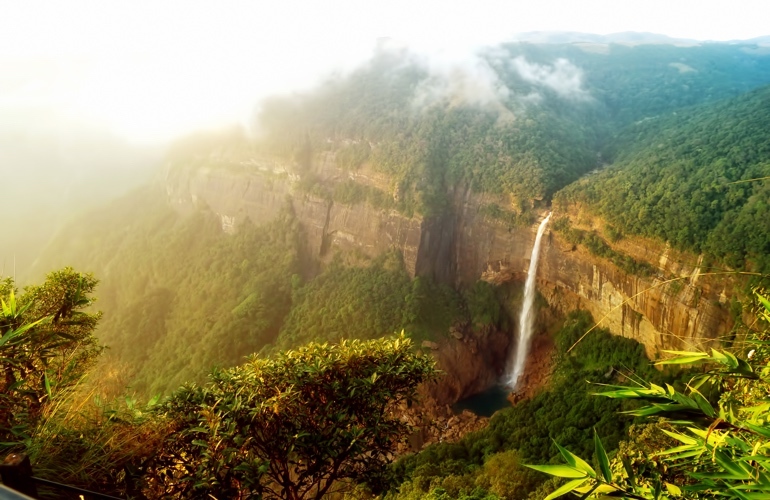 Just visit Meghalaya and for sure you will get enthralled at once!! Unique destinations that shouldn’t be missed: Living Root Bridge, Laitlum Canyons, Elephant Falls. Northeastern states of India are steeped in rich culture and this is why it is indeed a place that needs to be explored. It’s distinct culture and bright traditions are evident in its people, their lifestyle and the food. North-East being a remote place, is one of the rare places of the world where tribal people reside. The adorable and friendly tribal people (especially tribes of Khasi, Garo and Jaintia) offer a clear reflection of their land and traditional lifestyle. These Mongoloid faced people are known for their distinctive dresses, uncommon customs and the language. Lifestyle of these people majorly depends on upon fishing and hunting. However, Assam shows a little variation where the main occupation is tea farming. 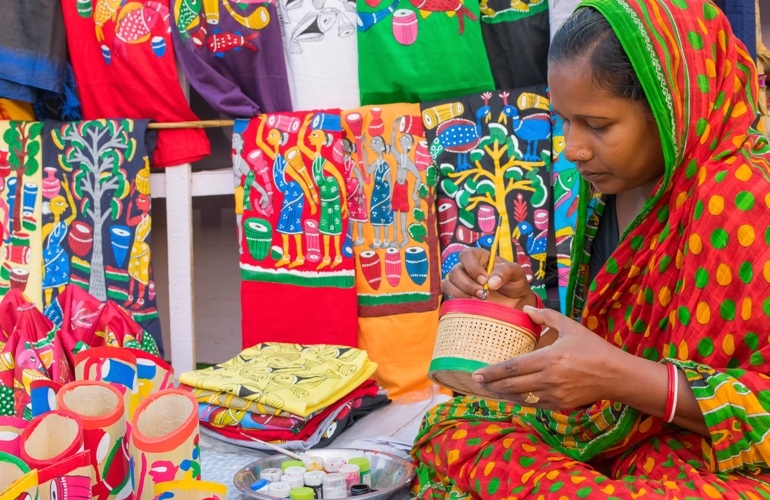 People of these sister states are blessed with great skills in art and craft. They show their unique and artistic skills in wood crafting, cane crafts, handmade jewellery and bamboo stickwork. 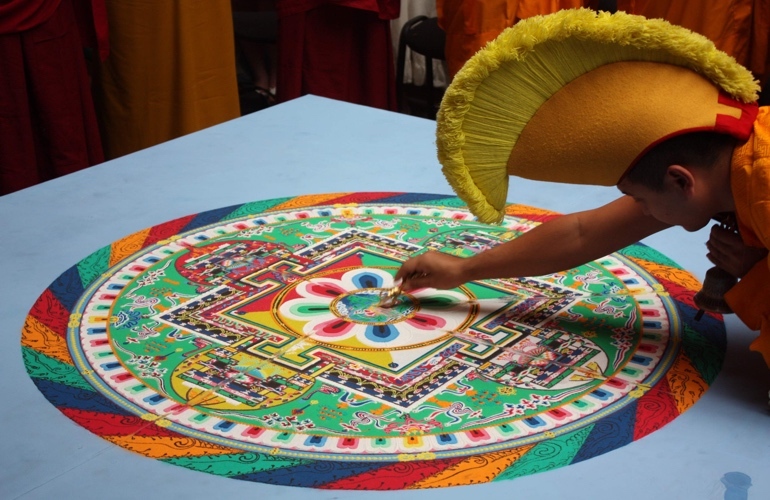 Be it carpet making, silk weaving or any other handicraft, every tribe has something to showcase and each tribe excels in its unique artworks. Not just this, even their musical instruments highlight their skills. The mountainous region of seven sister states is bordered up with Tibet and that’s the reason why the culture of these states shows flavours of Tibet. Though the whole of North-East India falls in the colours of Tibet, Arunachal Pradesh is hued with the deepest colours. Historic monasteries and prayer wheels evidence the fact. It’s serene and enchanting when colourful prayer flags wave over the peaceful valleys of Tawang. 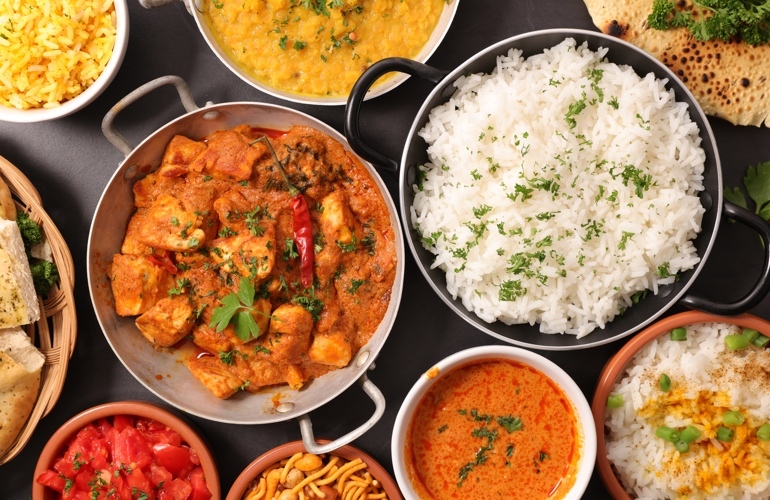 For any state, its staple food is the best reflector of its culture and traditions and it’s true for these states too. Staple food here is rice with dry fish and spicy meat garnished with green vegetables. Apart from these Chicken, Mutton, Duck and Pigeon are a few amongst the popular dishes of this region. 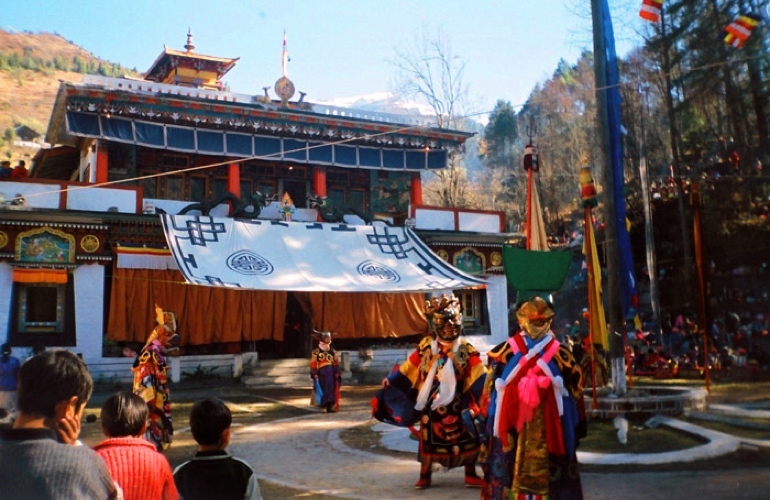 Since the culture is inspired from Tibet, momos and thukpa hold a good significance here. 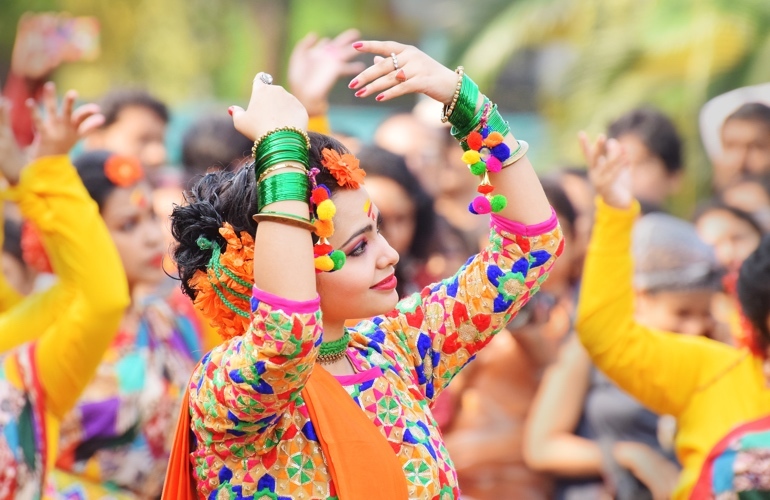 Being rich in culture, North-East India flaunts its vibrant colours through the warmth of its beautiful festivals. Witnessing the Northeastern states during the festive season means appreciating the colourful decorations, enjoying traditional dishes, participating in dance and music. It will fill your soul with joy; what else could be said! Ziro Festival of music is is an annual outdoor musical extravaganza that is organised every year (since 2012) in valleys of Arunachal Pradesh. It was started by musicians Bobby Hano and Anup Kutty as a platform to promote regional musicians and now it has grown into a big festival that attracts of various national and international bands. One can’t miss this festival as a way to come alive with the beats of music reverberating through the air. Time: Every year in late September or early October. Named after a bird, Hornbill Festival of Nagaland is called ‘festival of festivals’. Though an agriculture-related festival, this festival is organised by Government of Nagaland in Kisama Heritage Village so as to encourage inter-tribal interaction and to promote the cultural heritage of Nagaland. Kohima Night Bazaar, food contests, colourful headgear, exquisite costumes, the warrior log drums and soulful war cry are a few highlights of the festival. Time: Every year from 1 December to 10 December. Shillong being titled as ‘The Rock Capital of India’ is the hub to western music and rock concerts. While rock concerts here offer a great platform to local people to showcase their passion for rock music, they also offer an amazingly cheerful and lively environment to tourists to make their trip a successful one. These concerts are no less than festivals where celebrations pulsate with vocals, music and dance! Time: Time varies as per different concerts. The most widely known festival of North-East is Assam’s Bihu which is a set of three of different festivals - Rongali (Bohag Bihu), Kongali (Kati Bihu) and Bhogali (Magh Bihu). Amongst these, Rongali is celebrated for seven days with great pomp and show. Gamos (handwoven cotton towels), Bihu dance and Assamese delicacies such as Pitha are the major highlights of this festival. Time: Rongali is celebrated every year from 14 April to 21 April. Kongali and Bhogali are celebrated in October and January respectively. Written by: Stuti Shukla - a travel enthusiast/writer for Untravel who has a passion for traveling solo. Her appetite for travel doesn’t limit to seeing the places, she loves to hear the stories behind the making of the country and go deep into its cultural milieu. She is fond of ruins and is eager to run through its history.